Anyone who engages in any work in Search Engine Optimization (SEO) or is looking to learn more about it, knows or will find out that SEO is comprised of three different elements. On-page SEO, off-page SEO and technical SEO. While each element of SEO contains many different layers and strategies for optimizing, one of the most under-utilized aspects of on-page SEO is leveraging existing content on your website. This article will be looking at three different strategies you could implement today for your own website to leverage your existing content. The techniques that will be covered in this article have been tested and proven to work when implemented correctly. Re-optimize existing blog posts & landing pagesRe-optimizing website copy should be one of the first exercises you should run when trying to improve your website rankings. When optimizing content on your website it should be foremost, optimized with your users in mind, while also making sure you use the keywords your clients are searching for and answering the questions they might have. Choosing which pages to optimize and how to optimize them can sometimes be tricky, but there is a very simple and proven process to do so. Step 1: Log-in to your Google Search Console and navigate to the “Search Analytics” section, found under Search Traffic > Search Analytics. Step 3: In the “Queries” report, sort the columns by Impressions from largest to smallest. Step 4: Look for keywords which have an average position of around 8-15. Re-optimizing content that is already ranking in the top 5 positions can be risky, as you run the risk of over-optimizing and dropping in rankings, so it is best to test our skills with pages in lower positions. Step 5: After identifying keywords you want to start with, see which article they belong to. 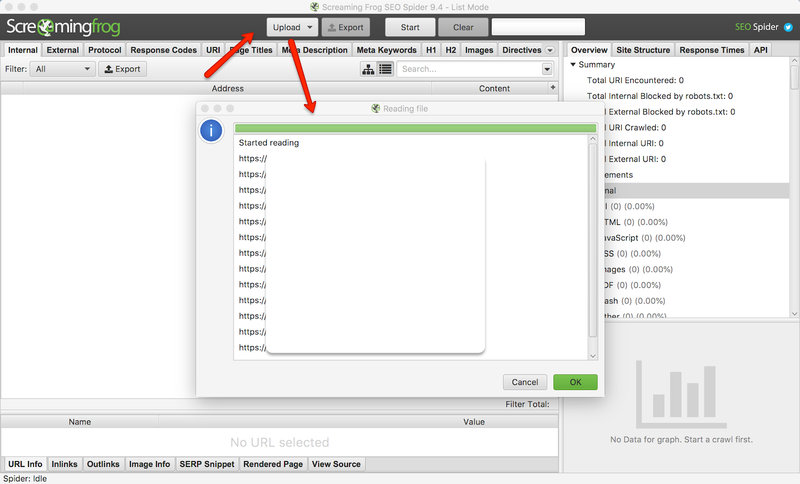 Step 6: Filter the “Pages” report with your page URI, to unveil all of the keywords the page ranks for. 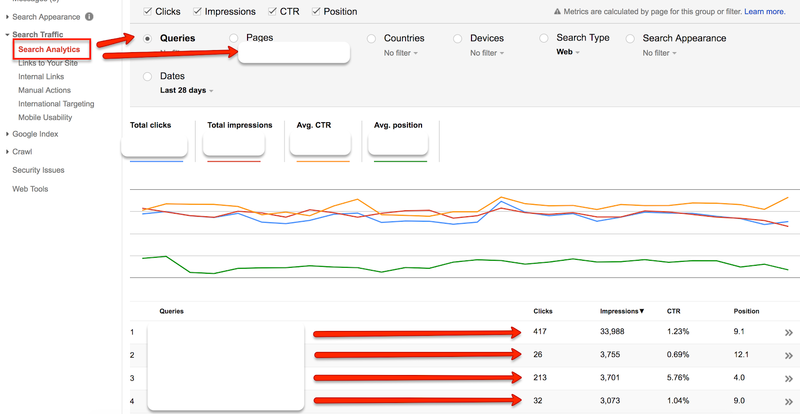 Step 7: Order the keywords by Impressions to see which are the most valuable keywords your page should be optimized for. 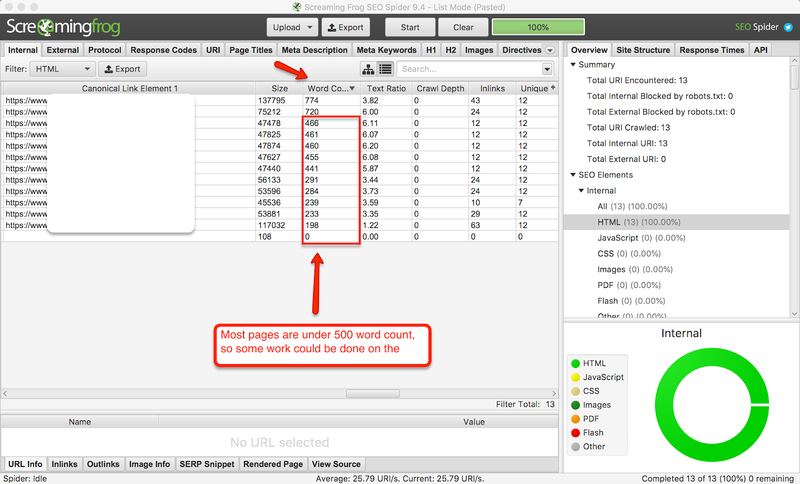 Step 8: After selecting the keywords you think the page should be optimized for, it is time to optimize the page. While meta descriptions have no direct influence on your rankings in Google, they impact your click-through-rates. It is important to optimize them in such a way that it sounds enticing to your target audience to click through to your page. 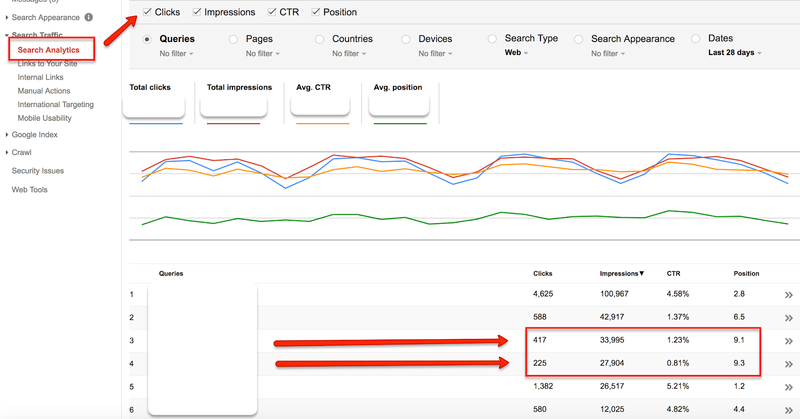 An actionable tip when optimizing your page title and article title (h1) is to use your most searched keyword by impressions, and include it as close to the beginning of the title as possible. The second part of this exercise is to optimize your existing subheadings or creating subheadings if none currently exist. In Google’s understanding of content, after it analyzes the top level elements of the page such as the title and URL, it places the next most importance on subheadings. After the subheadings, search engines look at the rest of the content on the page. This is where you should ensure that the keywords you are ranking for in those lower positions are actually mentioned in the copy. Google will rank your content for semantic keywords without you even mentioning them, but by simply mentioning them in the copy you would vastly improve your rankings for those specific keywords, bringing more traffic to the article than before. For example, let’s say your focus keyword was “build photography website.” The article linked is a good example where this exact same exercise was run. After a short five days, the article instantly shot up in rankings from position 8 to position 5 for the “build photography website” keyword. One of the many Google updates over the years has been penalizing sites and pages on websites which have thin content. There is a strong correlation between pages with more content, ranking better in search results, over ones with less content. Based on a study run on 1 million search results, the sweet spot for content length landed around an average of 1890 words per article in the first page of search results.While it doesn’t make sense to write close to 2,000 words on every page of your website just to rank better, it’s great to identify crucial articles or landing pages to beef up your content. A simple and cost-effective way to do this is by using a tool. One that is highly recommended is ScreamingFrog. Let’s say you wanted to run this exercise for your service or product landing pages and uncover pages that had thin content, with less than 300-500 words. Step 1: If you know which URLs you would like to crawl, you can use the “List” feature to only crawl your designated URLs. You can find this by going to “Mode > List” and then using the Upload feature. If you would like to crawl the entire website you can use the “Spider” mode, found in “Mode > Spider” and type in your website root URL. Step 2: Once the crawl is complete you can either export the report to a .csv or inspect your crawl results directly inside the platform. Scrolling your report to the left will uncover a field titled “Word Count” which will list the word counts for each page which was crawled. Step 3: Work with your design and copywriting team to spruce up your landing pages, and the content which is on there. Make sure that any content that you are developing is useful for the users, and you are not just stuffing information that the users do not find useful. Step 4: Like with any other experiment, make sure you track your results and see how the added content affects your rankings and traffic. After running an experiment like this on our own site, we saw an improvement of 2 positions in the search results, from #3 to #1. Contextual internal-linking can come from many areas of your website. It can come from other landing pages or blog posts. Through the testing we did, we found the most value came from leveraging internal-linking from other landing pages, and not articles. 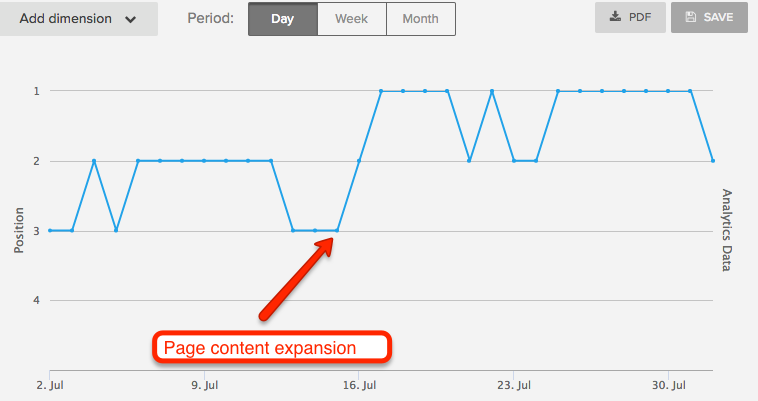 The closer the pages were to the root domain, the better they performed in driving ranking improvements. Pages which are close to the root domain tend to have more authority and therefore are more likely to influence rankings.For the experiment, we identified 5 landing pages which we would add internal links using “money keyword,” linking to 3 other key landing pages on our site. 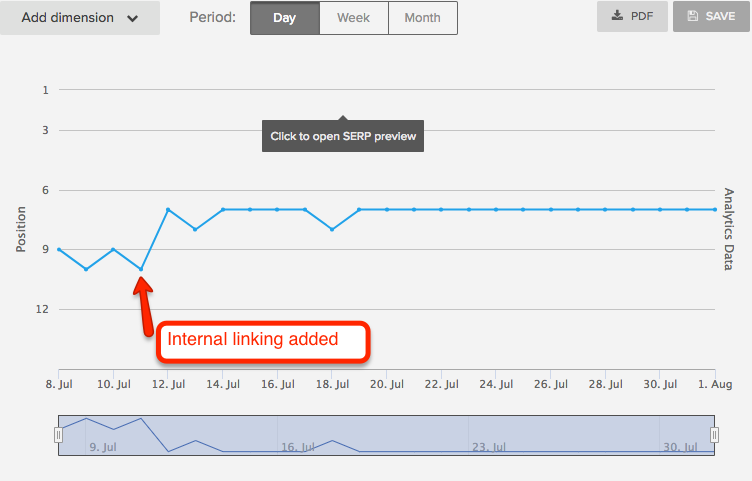 An easy way to identify opportunities for internal linking on your website can be through the use of search operators. Step 1: Identify which landing page and the keyword you want to improve. Let’s say the landing page you choose is about “Red Shoes” located at https://www.example.com/red-shoes. Step 3: This result will show you all the pages where red shoes are mentioned. Comb through the pages and see which are appropriate fits for contextual internal links to be added back to https://www.example.com/red-shoes. Step 4: Publish the changes and track your results! Bonus Tip: Like with external link-building don’t abuse internal-linking by spamming too many links at once. Also, vary the anchor texts to not always be an exact match to your money keyword. 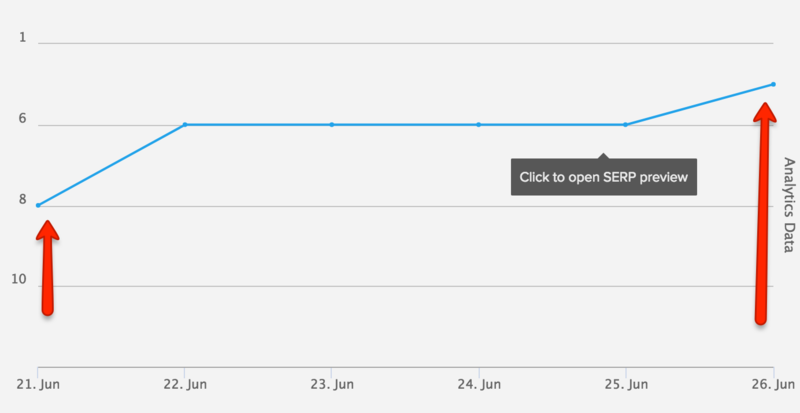 The following screenshot is one of the money keyword rankings after the internal linking experiment. From an average position of #9, it jumped up to position #7. Leveraging your own existing content on the website is one of the lowest hanging fruits in the world of SEO. When implementing these three different strategies for you content, you will be certain see measurable results for your efforts. But don’t stop there. Once your tests prove to be successful make sure to continue expanding your efforts, and also start exploring other SEO strategies such as technical SEO or link-building. Tudor StanescuTudor Stanescu is a digital marketing & photography professional based out of Toronto, Canada. Tudor is the current SEO Manager for Format & Format Magazine. Format is an online portfolio website builder for visual artists, and Format Magazine is a digital magazine filled with editorial and educational content for visual creatives. Tudor spends his days testing out new SEO strategies to grow organic traffic and creating useful content that users love and value. In his free time, Tudor enjoys urban and landscape photography.